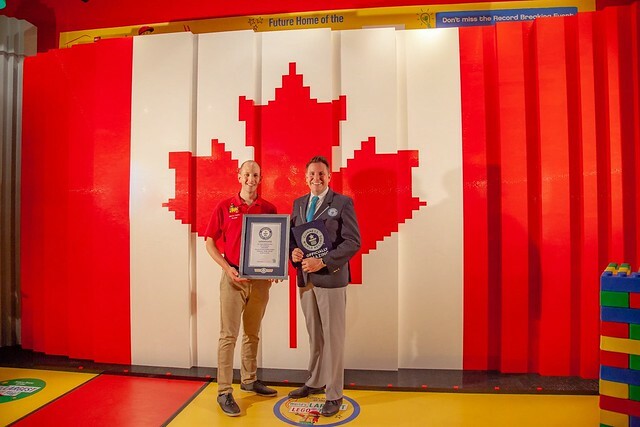 The LEGOLAND Discovery Center in Toronto celebrated our country’s 151st birthday in advance by building the world’s largest LEGO flag between June 25th-28th. Oh, Canada indeed! In the celebrations leading up to Canada Day, Master Model Builder, Noel Straatsma was on hand to help build the massive flag he designed for the record breaking attempt. The flag was constructed with 250,000 bricks, weighed in at just under 500 kilograms and was 3.5 meters tall by 6.5 meters wide. On June 29th an official from Guinness World Records made the announcement that it had won the coveted title. It is on display now in the retail area of the Discovery Center and you can check out the flag in all it’s majestic glory as well as several videos of it’s progress on their Twitter feed.